The Adaptive Sports Iowa Winter Experience is intended for all physical and vision disabilities to participate. We proved a wide range of equipment the serves every possible need. There is not cost to participate but we do ask for a free will donation for those who are financially able. If you’ve ever watched downhill skiing in the Winter Olympics and thought, “I’d love to do that!” Adaptive Sports Iowa can provide you with the chance to become acquainted with the sport. Through partnering with Seven Oaks Recreation, we provide a two-day training and downhill skiing course. Until recently, the thrills and excitement of downhill skiing have been largely inaccessible for the physically disabled. 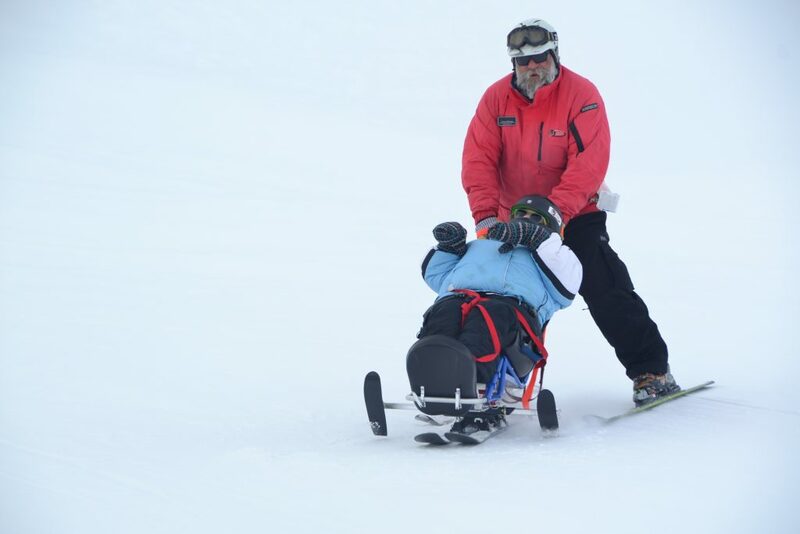 However, this event will help educate instructors and participants alike about adaptive skiing equipment and proper technique. All of this adds up to a great opportunity to learn how to downhill ski in a safe and relaxed atmosphere. Come hit the slopes with us!